Fiordland wild venison comes from herds of red deer that roam the National Park forests. The deer are voraciously hunted by independent hunters filling their own family freezers with delicious venison. Around Te Anau and Manapouri you will often find venison on the menu in our restaurants too, and a star filling in our pies. It is also hunted by professional hunters supplying the wild venison market around the globe. The back steaks are delicious, and the meat also makes fantastic stews, mince, sausages and salami. Eating venison is good for our environment! Fiordland is meat-eater's heaven with minimal guilt. The animals lived a good life in paradise. It's also important to reflect that deer are not native to New Zealand and in fact cause damage to vegetation that provides food and nesting space for precious endemic birds. Therefore it is generally considered a good thing to manage their numbers carefully in the park, to control the damage they can cause, while still enabling an enthusiastic deer hunting tradition. 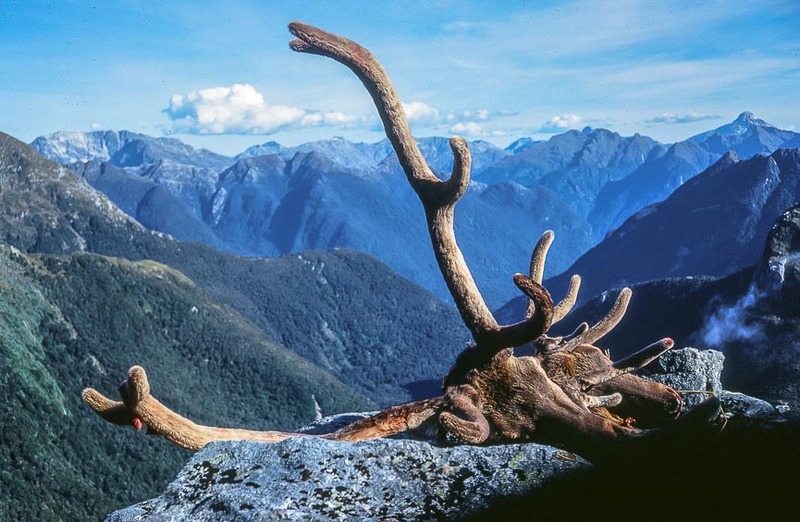 Many a foreigner to New Zealand has expressed delight that there are no "bag limits" on the number of red deer, wild pig and chamois you can hunt in Fiordland National Park. However, it's a balancing act. If too many are killed, then the populations are not sustainable and sport hunting opportunities will disappear. So if you are sport hunting, don't be too greedy. However, if too few are killed, then extensive damage can be caused to the forests. In some areas of Fiordland it is important that deer are controlled very heavily. For example in the Murchison Mountains opposite Te Anau where the incredibly rare takahe bird lives. In this area, shooting of deer using helicopters has massively reduced the deer population. Helicopter deer hunting is a highly effective way of reducing the deer population where it needs to be reduced. Sport hunting is not allowed in this area, as members of the public are not allowed here. The history of the venison industry in Te Anau is fascinating. After it became clear that deer were a pest, destroying the trees and plants needed by New Zealand's native birds, strong and determined people were deployed to roam the mountains of Fiordland shooting them in return for a bounty. Some brought them back out for the emerging venison industry, particularly export to Germany. Eventually these back-country guys were replaced by helicopters, which hunted the deer with far greater efficiency from the air. Many deer were recovered live for stocking new deer farms in the Te Anau and Manapouri region, springing up in the 1970's. One method of capture was throwing a net out of the helicopter onto a deer, followed by someone leaping out of the helicopter to tie up the deer ready for "live recovery" to a deer farm. The demand for live breeding stock meant that wild deer commanded very high prices for a while, until the government intervened with a change in the tax laws. The temporary boom of this industry sadly resulted in relatively frequent disasters as many speculative deer hunters worked in the area using helicopters. 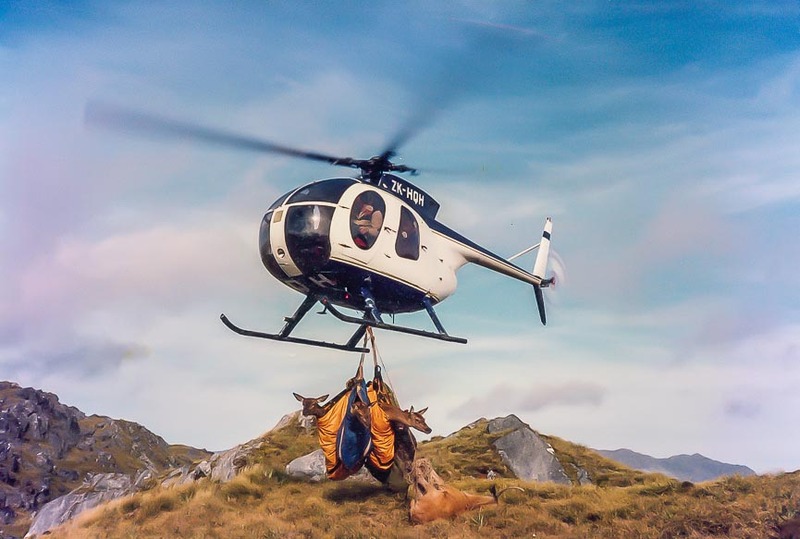 Experienced helicopter pilots who worked during those heady times still however work in Fiordland, ferrying tourists around, conducting search and rescue operations, and also continuing to recover deer. It is still a common sight to see a helicopter flying over Lake Te Anau with a deer swinging underneath. There is also a region of Fiordland populated by wapiti (otherwise known as elk) that were imported from the USA, released, and survived. This is the only free range herd of Wapiti outside northern america. These are among the largest deer in the world, some with massive antlers, so are prized trophies for hunters' walls. There is an annual ballot to assign wapiti "blocks" (areas of land) to hunters during the most popular hunting season, known as the "roar". This is when the male wapiti call out out their sexual intentions to females, in weird high pitched cries similar to a bugle, making it easier to locate them. For more information, go to the Fiordland Wapiti Foundation site. During the "roar", hunting of red deer is also popular throughout Fiordland; deer are just as noisy as wapiti at this time, but the noise they make is more of a manly, deep-pitched, groan of anticipation. Hunting a deer in the wild is one thing; getting it home is another, causing an entirely different kind of groaning. It's a heavy, smelly business. Outside the national park there are additional deer hunting opportunities in other wild places nearby, including fallow deer hunting. 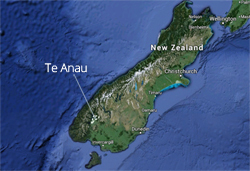 To find out more about hunting in Fiordland National Park and nearby, come to Te Anau and visit Fiordland Frontier, the gun and supplies shop in Te Anau, situated near the cinema, where you can hang out with hunters and have a yarn. Alternatively browse the fantastic information boards in the Wapiti Bakery and Cafe next door, which explain the history of hunting in Fiordland.